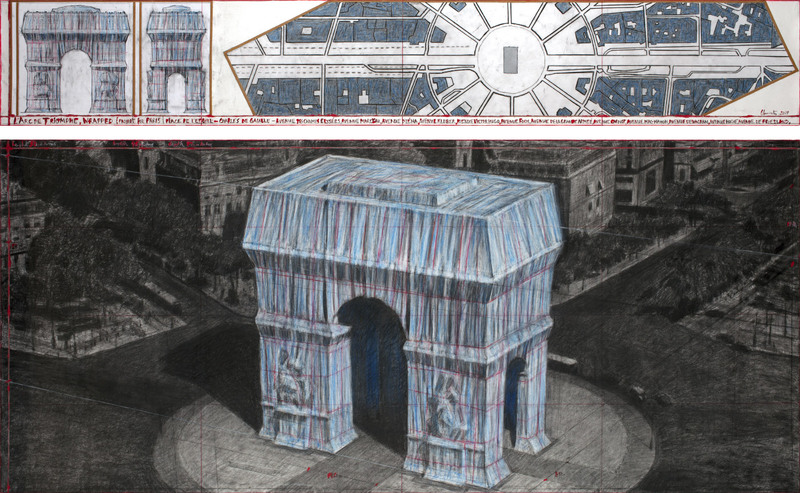 Bulgarian-born artist Christo is making a triumphant return to the large-scale building wrapping projects that he’s famous for, with plans to fully envelop Paris’s Arc de Triomphe. 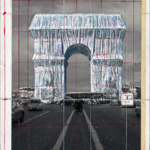 From April 6 through April 19, 2020, Parisian bystanders, tourists, and art patrons will be able to view l’Arc de Triomphe, Wrapped (Project for Paris, Place de l’Étoile-Charles de Gaulle). 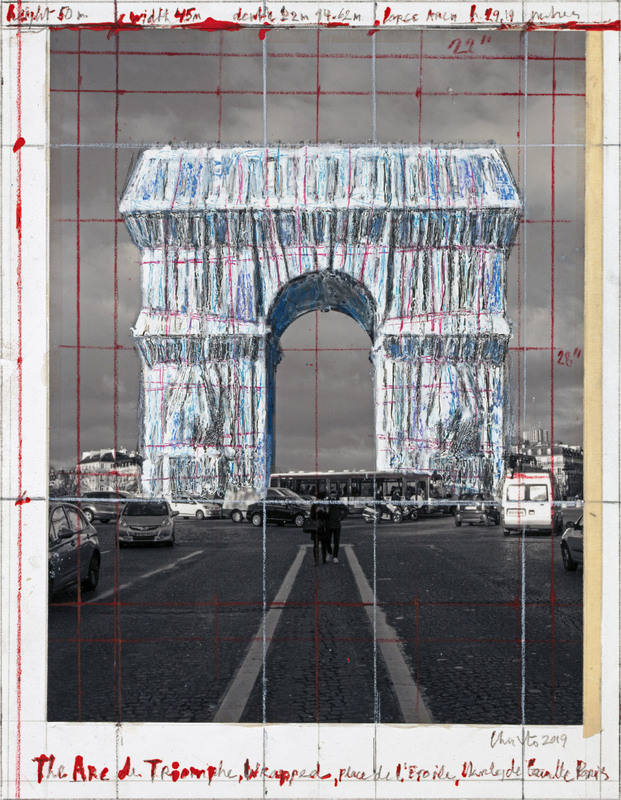 Using nearly 270,000 square feet of recyclable silver-blue polypropylene fabric bound by 23,000 feet of red rope, one of the city’s most famous, and visible, public icons will be reduced to pure form. 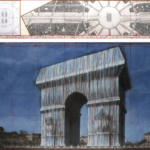 The project is moving ahead after winning approval from France’s government and the Center for National Monuments yesterday. 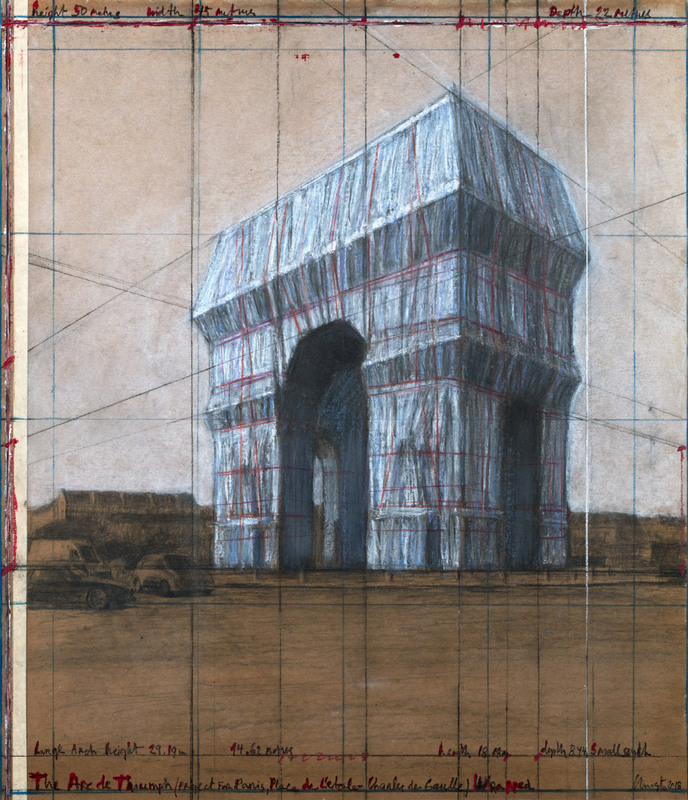 Wrapping the archway has been a dream of Christo’s since 1962, when he sketched the monument while living with his artistic partner and late wife Jeanne-Claude in Paris, later returning to create additional studies in the ’70s and ’80s. 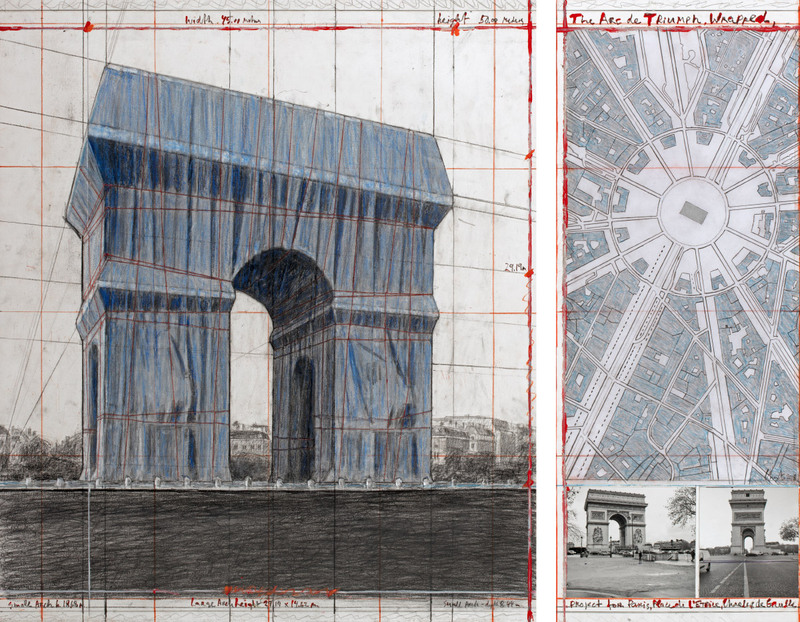 That the piece is being realized now, Christo’s first wrapping project since the death of Jeanne-Claude in 2009, is no coincidence. 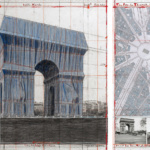 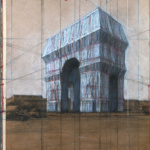 l’Arc de Triomphe, Wrapped will run concurrently with Christo and Jeanne-Claude in Paris at the Pompidou Centre, which will document the couple’s formative period in Paris, where they lived from 1958 through 1964. 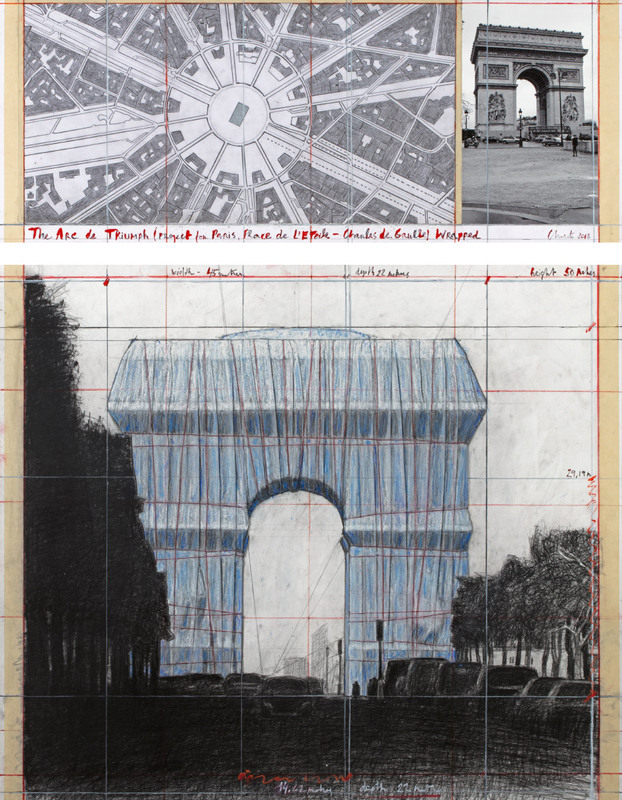 The show will put previously unseen works on display, including sketches and paintings, as well as trace the lineage of the pair’s most well-known works, such as the wrapping of the Pont-Neuf in 1985. 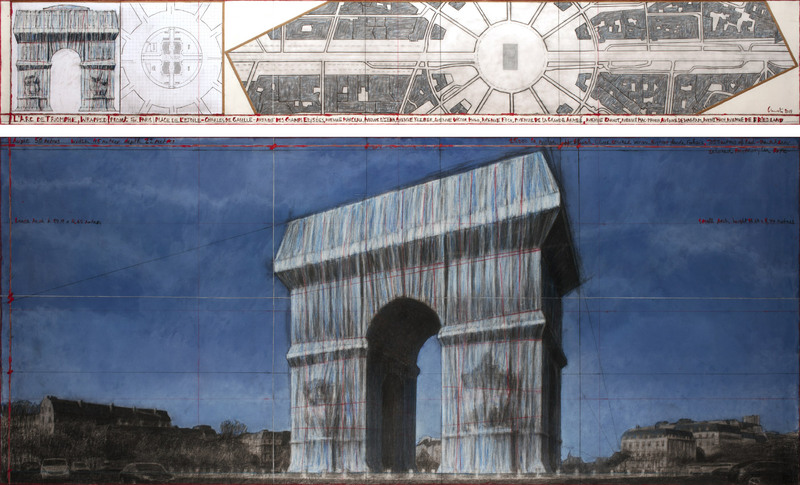 “Thirty-five years after Jeanne-Claude and I wrapped the Pont-Neuf, I am eager to work in Paris again to realize our project for the Arc de Triomphe,” said Christo in a statement. 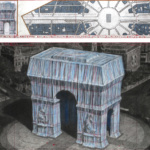 While the arc above is wrapped, the eternal flame at its center, installed in 1923 above the Tomb of the Unknown Soldier, will continue to be fully maintained.